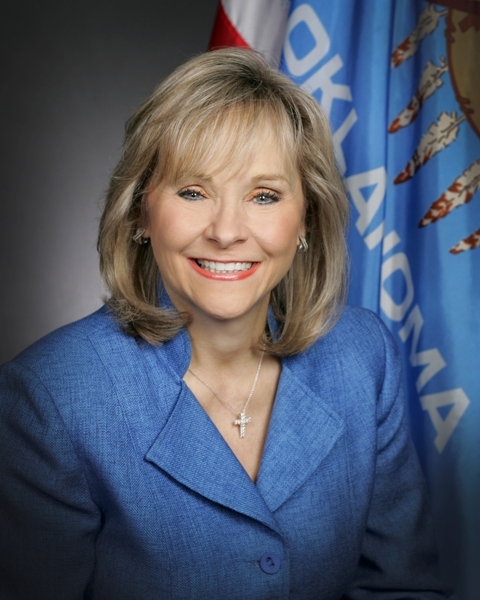 OKLAHOMA CITY – Governor Mary Fallin today announced the appointment of Cathryn Franks to the Oklahoma State Board of Education. She is replacing Bryan Haden, who resigned. Franks will serve the remainder of his term ending in April 2015, pending confirmation from the Oklahoma Senate. teacher who taught at Killeen High School in Texas. She was twice named “teacher of the year.” She also taught U. S. history classes in Germany and Korea. Now a resident of Roosevelt, Oklahoma, she is the director of international cultural education for Musco Lighting International, a company that provides lighting at major sporting events and stadiums around the world. Franks previously served as an executive board member for the Military Child Education Coalition, a non-profit organization that works to ensure quality educational opportunities for military children affected by mobility, family separation and transition. Franks received a bachelor’s of science degree in education based curriculum from Oklahoma State University and a master’s of arts in education and human development from George Washington University in Washington, D.C.
She has received numerous awards for public service including the Commander’s Award, Department of the Army Outstanding Civilian Service Award, Secretary of the Army Public Service Award and the Secretary of Defense Award for Outstanding Public Service. 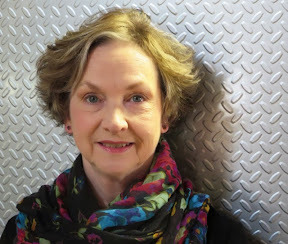 Cathryn Franks is married to retired General Tommy Franks, who served as the commander of the US Central Command overseeing the United States Armed Forces in a 25-country region. She serves as an advisor to the General Tommy Franks Leadership Institute and Museum, a non-profit student education organization dedicated to enhancing leadership skills in middle school students. proposals from qualified vendors to help resolve past due Child Protective Services (CPS) case reports. As of September 9, 2013, approximately 3,100 CPS case reports were backlogged, meaning the case is pending after 60 days. In these cases, an investigation was conducted, the children interviewed and an initial safety decision was made by CPS staff; however, the case has not been documented in the child welfare system and closed according to DHS policy. DHS is working aggressively to address the backlog using a variety of approaches, but there will likely be around 2,000 past due cases still requiring closure. Approximately 65,000 allegations of possible abuse and neglect are received each year by the DHS Abuse and Neglect Hotline. Approximately half of the reports are accepted for investigation with abuse and neglect found in around 20 percent of the cases. A significant number of children are found to be in immediate danger and must be placed in the foster care system. Many other families are offered services to remain together and the cases closed without need for further intervention. Documentation of all investigations is critical in the event any future reports are made which could indicate a pattern of problems within the family. DHS is looking to partner with successful vendors to close all backlog cases by January 31, 2014. DHS will provide training to vendors on Oklahoma State Statutes regarding child abuse investigations, CPS policy and procedures, best practices related to child abuse investigations and documentation in the child welfare system. Interested vendors can view the request for proposals and qualifications posted on the Office of Management and Enterprise Services Central Purchasing Division website at https://www.ok.gov/dcs/solicit/app/viewAttachment.php?attachmentID=58857. A bidders’ conference will be held at 9 a.m. on Friday, Sept. 13 in the Sequoyah Auditorium, 2400 N. Lincoln Blvd., Oklahoma City. Brown is contesting Veronica’s adoption to Matt and Melanie Capobianco of Charleston, South Carolina. His arguments have now been rejected by the United States Supreme Court as well as courts in South Carolina and Oklahoma. South Carolina Governor Nikki Haley requested Brown’s extradition from Oklahoma to South Carolina on August 13. Brown, who has refused to release Veronica to her adopted parents, faces charges of custodial interference in South Carolina. Brown’s extradition does not affect the current placement of Baby Veronica. “My goal in the Baby Veronica case has been to encourage both Mr. Brown and the Capobianco family to reach a quick settlement and come to an agreement that protects Veronica’s best interests,” Fallin said. “I said previously that I was willing to delay Mr. Brown’s extradition to South Carolina as long as all parties were working together in good faith to pursue such a settlement. I also outlined parameters for what I believe to be acting in ‘good faith:’ both Mr. Brown and the Capobianco family should be able to see Veronica; both parties should continue meeting to pursue a resolution outside of court; and both parties must obey the courts and the rule of law. “Unfortunately, it has become clear that Dusten Brown is not acting in good faith. He has disobeyed an Oklahoma court order to allow the Capobianco’s to visit their adopted daughter and continues to deny visitation. He is acting in open violation of both Oklahoma and South Carolina courts, which have granted custody of Veronica to the Capobianco’s. Finally, he has cut off negotiations with the Capobianco’s and shown no interest in pursuing any other course than yet another lengthy legal battle. 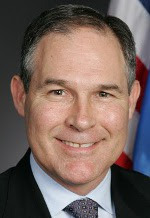 OKLAHOMA CITY – Attorney General Scott Pruitt issued a warning for kids and parents to be aware of Internet safety as students return to school. The Attorney General’s Office and the Federal Trade Commission recommend talking to kids of all ages about the importance of digital dangers, including popular apps such as Snapchat that younger adults wrongly assume erases their photos. Children should be aware of the consequences of their actions on the Internet and with their smartphones. The first meeting of the RESPECT Task Force is tomorrow, Wednesday, September 4, at 4 p.m., at the state Capitol in Room 512A. The RESPECT Task Force was created by the Legislature to study the special education system in Oklahoma and to recommend a plan to improve that system. At this initial meeting the goals for the task force will be presented, committees will be created to focus on specific policy areas, and a time-line for future meetings will be decided. The interest and expertise of the members of the task force will be influential in improving special education services making the future brighter for thousands of Oklahoma school children. Anyone with an interest in special education and related services in Oklahoma is encouraged to attend the task force meetings. 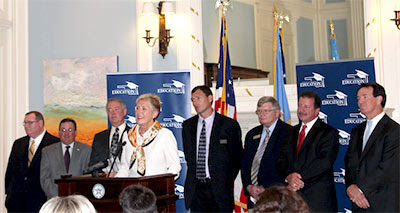 OKLAHOMA CITY (Aug. 28, 2013) – In 2010, Oklahoma made a commitment to raise the educational bar for children. With the passage of Senate Bill 2033 that called for the implementation of college and career ready standards, Oklahoma teachers are now in the final stages of aligning instruction to those new standards this school year. "Now that we've reached our first milestone, increasing the rigor of the Oklahoma Academic Standards, Oklahomans across the state need to give full support to our teachers as we begin to assess children on these new standards," State Superintendent Janet Barresi said. "Education reform is never easy, but I know that our teachers and our students are ready to answer this challenge." Governor Mary Fallin applauds the efforts of our students and teachers. “Nothing is more important to the prosperity of this state and its residents than high quality education. To deliver that education and ensure our children have the skills they need to succeed in today’s economy, Oklahoma must raise the bar when it comes to academic standards. Superintendent Barresi made the call to action for supporting teachers and students in increasing academic achievement at a press conference on Wednesday, August 28, in the Governor’s Blue Room at the State Capitol. The event coincided with State Department of Education officials releasing preliminary student test scores from spring 2013 to school districts. Joining Superintendent Barresi in the call to action were Dr. Robert Sommers, Secretary of Education and Workforce Development and State Director of the Oklahoma Department of Career and Technology Education; Dr. Glen Johnson, Chancellor of the Oklahoma State Regents for Higher Education; Chuck Mills, President of Mills Manufacturing Company and Chairman Elect of the State Chamber of Oklahoma; and Fred Morgan, President and CEO of the State Chamber of Oklahoma. More challenging test questions were included in the 2013 spring assessments to reflect the more rigorous Oklahoma Academic Standards. Questions were added to the 5th and 8th grade science and writing tests and end-of-instruction biology test. These more challenging test questions helped prepare students for the more rigorous assessments that follow full implementation of college and career standards. Cut scores to measure proficiency also were increased for these tested subjects. Cut scores are like the defined range of scores that qualifies student work for letter grades such as A’s, B’s, etc. on classroom assignments and tests. SDE officials say assessments aligned to the new academic standards will become more rigorous. Although this will mean an initial drop in test scores across the state, as teachers and children become accustomed to this new, better way of learning, test scores will rebound. “Just as the new standards incorporate reading, writing and math across all subject areas, the new assessments will as well. We are no longer asking students to memorize facts and figures for multiple-choice tests. 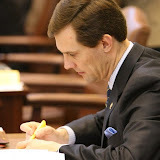 We are asking them to read two or more paragraphs, write out their answers in short essay form and, in some cases, defend their answers by showing their work,” explained Dr. Maridyth McBee, Assistant State Superintendent of Accountability and Assessment. The REAC3H Network, an instructional team that delivers professional development to classroom teachers and school administrators in regional trainings throughout the state. Sixty REAC3H Coaches who provide literacy training to teachers in their classrooms. The PD on Your Plan program. When launched, this will provide virtual professional development teachers can access during their planning period. This means instructional time will not be taken away from students in the classroom. The OKMath/OKSci program modeled after Leadership Oklahoma. This program creates leaders who can identify challenges and create solutions for math and science educators. They also can serve as a support system during implementation of the Oklahoma Academic Standards. Convenings of English, math and science teachers who work to determine the needs of teachers for implementation of the more rigorous standards and develop resources and tools to address those needs. A partnership with the National Math and Science Initiative (NMSI) project that increases access to Advanced Placement courses for students and provides training and resources in AP coursework to teachers. The school improvement program designed to help some of the state’s most struggling schools. University of Oklahoma President David Boren and Oklahoma State University President Burns Hargis released statements in support of higher standards. Boren and Hargis believe these higher standards and increased rigor are essential for improving student performance.